Our 'news page' aims to make sure you are up-to-date with all the latest developments at Albion Mount Medical Practice. If you feel we can improve content, please don't hesitate to let us know. Since the NHS was created in 1948, the population has grown and people are living longer. Many people are living with long term conditions such as diabetes and heart disease, or suffer with mental health issues and may need to access their local health services more often. To meet these needs, practices have begun working together in primary care networks alongside teams from mental health, social care, pharmacy, hospital and voluntary services in their local areas. Your practice is part of the newly formed Dewsbury & Thornhill Primary Care Network. This is a partnership of 7 GP practices who are working together to improve patient care and create positive change in our communities. The network is run by our member practices: Savile Town Medical Centre, Thornhill Lees Surgery, The Paddock Surgery, The Albion Mount Medical Practice, The Sidings Healthcare Centre, Healds Road Surgery and Windsor Medical Centre. By combining our expertise we have a stronger voice to meet future demands and improve outcomes for all. The flu clinic begins week commencing 19th September 2018. If you are eligible for a flu jab, please book an appointment with reception. Appointments are available at both surgeries and there are different flu vaccinations dependant on age and health conditions. Starting from the 18th December 2017 until the 16th March 2018, the practice is able to offer 32 additional appointments per week (between both Albion Mount and Mountain Road Surgery.) These appointments can only be used as emergency appointments which will be taken 'on the day' only and can be both face to face or telephone consultations (at the discretion of the GP). Dr Sudha will have appointments at both locations. If you are eligible for a flu jab, please book an appointment with reception. The flu clinic begins week commencing 19th September. Did you know we can now send text reminders and alerts direct to your mobile phone? In addition to confirming appointment times and dates and to alert you to any changes to the availability of the Doctors and nurses, we are using this facility to remind patients to contact the surgery to make an appointment . This could be to discuss your blood results or possibly to repeat them or it could be to discuss a clinic letter received from the hospital. The text message would advise whether the appointment would be with either the nurse or the GP. To ensure you are able to receive this information we ask that you update your telephone contact details with the reception staff. Please always make sure we have your current mobile number. The facility to order prescriptions and to make contact to our practice email (NKCCG.Albion-Mount@nhs.net) will soon be removed. Please ensure you have a username and password to access the system to order your medications and to book your appointments. If you have been referred for further treatment within the last 12 months, we would be grateful if you could please spare the time to complete the following brief questionnaire here about your experience of Patient Choice. The deadline for completion of the survey is Friday 1 September 2017. Thank you. We are introducing a system where patients can book appointments which are necessary to be seen by a GP on that day from 8am throughout the day. This will remove the requirement to call at 8am for the morning appointments and 12 o’clock for the afternoon appointments. A decision has been made by the GP partners that any requests made for appointments, either in person or by telephone, will be triaged by the medical reception staff. Our staff will be asking a series of questions, all devised and authorised by GP’s . This has been introduced by many of the practices in the area and has been proven to reduce unnecessary GP appointments. Please be patient and understanding of these changes and be assured that these are to improve our service and to support the needs of our patients. From 1st October 2016 we are phasing out support for repeat prescriptions from pharmacies or companies. The aim is to place patients in greater control of their medications, as people who are engaged in their healthcare often experience better outcomes. Online ordering of prescriptions also helps to reduce the admin burden of repeat prescribing on GP practices and community pharmacies - freeing up capacity to focus more time on your health and wellbeing. Regardless of which method you use to request repeat medications (see details below), we ask that you collect your prescription TWO working days after you submit your request. Order Online: we offer patients the option to order repeat medications online. For more information on Systmonline, or to get your registration details, please click here or ask at reception. As soon as you have your username and password you can login to Systmonline by clicking the Prescriptions button at the top of the home page, or by clicking here. Don't forget that the Systmonline app is now available for smartphones and tablets - you can log into the app with your username and password to order repeat prescriptions. To find out more click here. In surgery: patients on long term medication can order repeat prescriptions using the rear slip attached to their last prescription. Simply tick the items required and forward to the surgery. Electronic Prescription Service: patients can have prescriptions sent directly to a named pharmacy. To use this service, please inform your pharmacy and they will record your nomination and forward to the practice. Please note however, that this service may not be for everyone e.g. if you are on 'controlled drugs' or your medication changes frequently. If in doubt, please discuss it with us or your pharmacy. Medication review: patients on repeat medication will be asked to see a doctor or nurse practitioner at least once a year for review of medications - notifications should appear on your repeat slip. 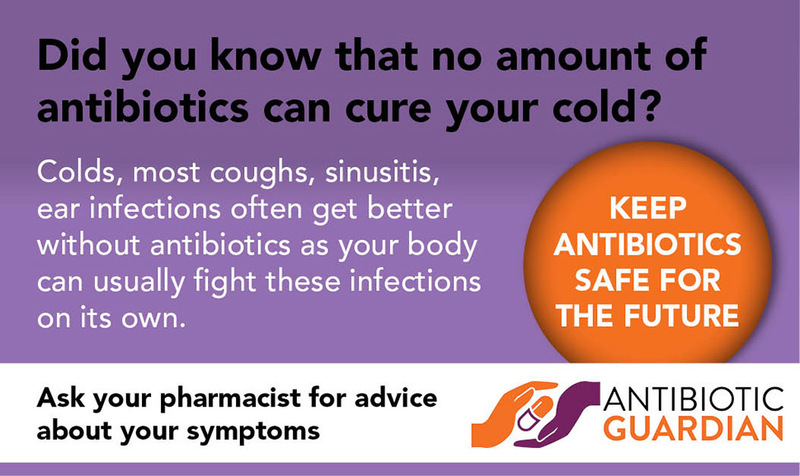 Please ensure you book an appointment to avoid unnecessary delays to further prescriptions. Please speak to reception if you have any questions about these important changes. Dementia Friends is an Alzheimer's Society initiative - it is the biggest ever campaign to challenge perceptions of dementia and change the way we think, act and talk about the condition. Albion Mount fully supports the Dementia Friends campaign and is developing services to become more understanding of the needs of people with dementia and those that care for them. To find out more about we're doing to support the Dementia Friends campaign, click here. You can log into the app with a username and password provided by the surgery - if you already have a current Systmonline username and password, these can be used to log into the app after download to your smartphone or tablet. As many of our patients are aware, Albion Mount was recently inspected by the CQC, the regulatory body for health and social care, to ensure our services continue to meet national standards of care, quality and safety. We are delighted to announce that our services were rated as GOOD across all 5 core areas of inspection ie. services are safe, effective, caring, responsive and well-led. Full details of CQC's findings can be found on the home page - just click on the 'See the report' button to open. We wish to extend a big thank you to all patients who contributed feedback during and before the inspection visit - your views help us to improve standards even further. 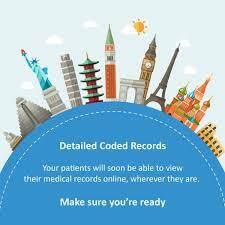 Albion Mount is ready to support patient access to their own medical records. Detailed Coded Records Access (DCRA) is available to request online - you'll need a username and password, so please enquire online or ask our reception team to advise you further. It will be necessary for you to complete a written DCRA request form and photographic identification is also required. Did you know we can now send text reminders and alerts direct to your mobile phone? It's a great way to confirm appointment times and dates, and to alert you to any changes to the availability of the Doctors. The system is helping to cut down the number of missed appointments and helps to remind you to tell us if your appointment is no longer required. If you'd like be added to the service, please click here to find out more - if you are happy to proceed, simply complete the consent form. If you have any problems, you can always speak to our reception team. Please always make sure we have your current mobile number.